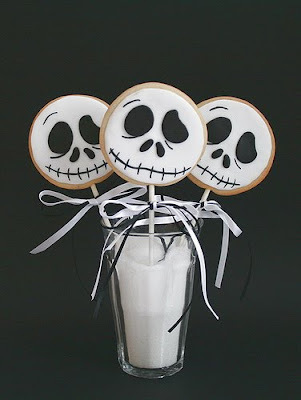 Jack Skeleton Cookie Lollies, from Cake Journal's Flickr. 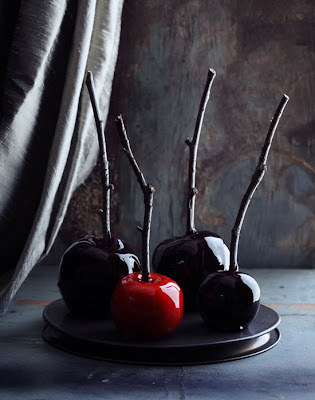 Witchy Fingers, from Woman's Day Magazine. 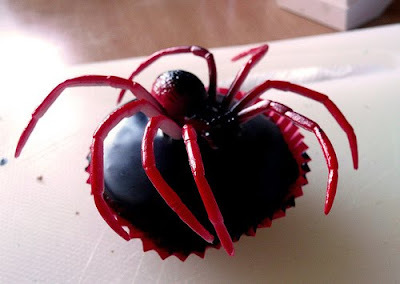 Spider Cake, from Lensfodder's Flickr. 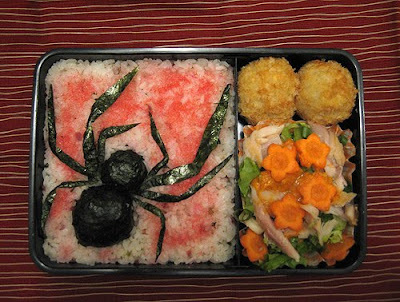 Spider Bento, from Los Dragónnes' Flickr. 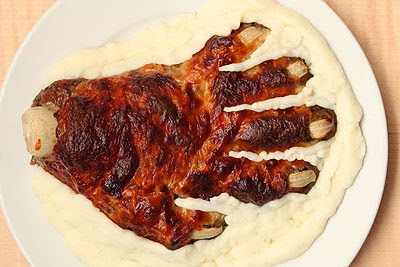 Meat hand, from Not Martha. 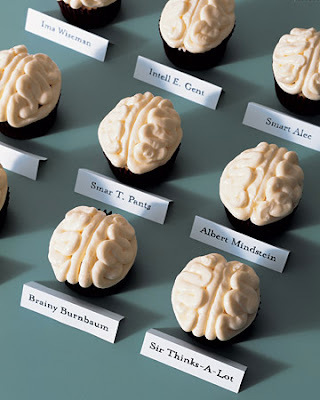 Brain Cupcakes, from Martha Stewart. 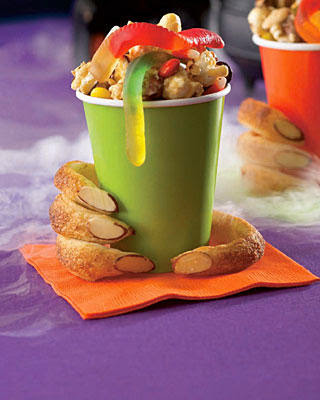 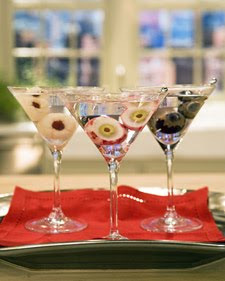 Eyeball Martini, from Martha Stewart. 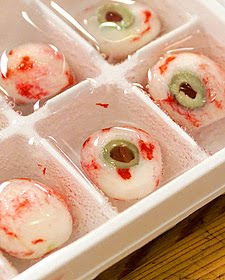 Eyeball Ice-cubes, from Martha Stewart. 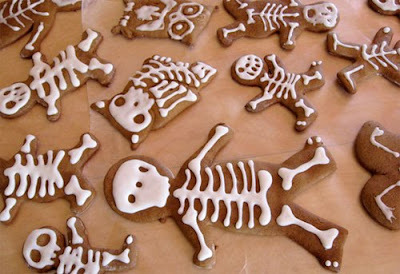 Ginger Skeleton Cookies, from Serious Eats. 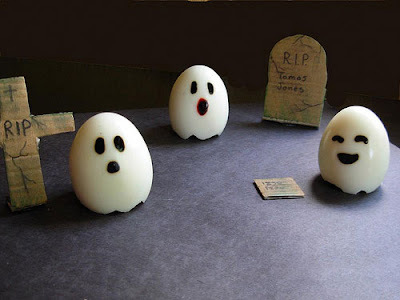 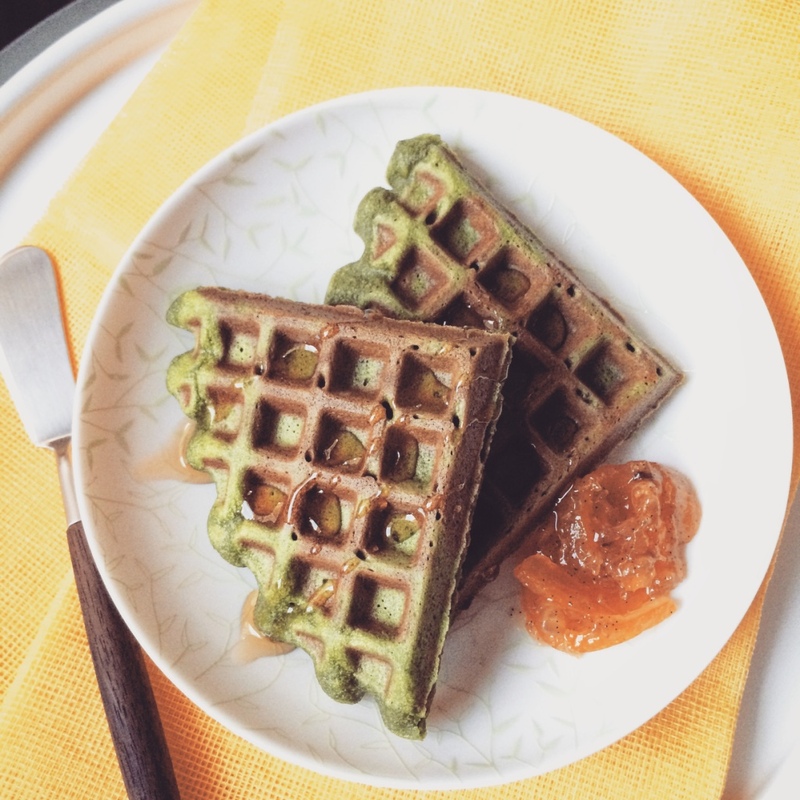 Ghostly Eggs, from The Gourmet Mama.